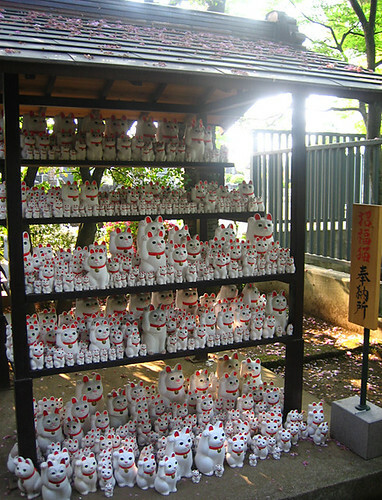 The Gotoku-temple has an opinion this temple is the lucky-cats’ birthplace. 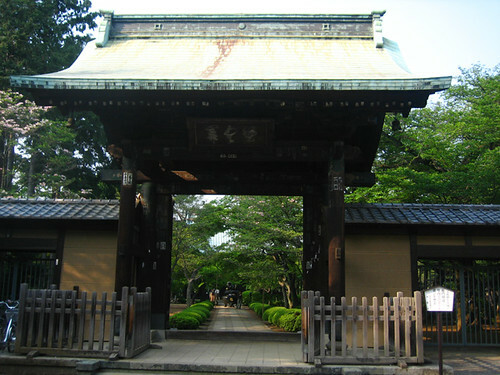 One day over 370 years ago, the feudal lord named Ii passed by this temple ,a cat rised its right hand and act like to say “Please come in! !” he wondered that & went with the cat. Just after a moment he came into the temple, there comes a thunderstorm! the lord thought the cat is genius & bring lucky, so he made there to family temple. Maybe he was a cat lover!! (^_-)* it’s a cute legend, I think. Amazing! 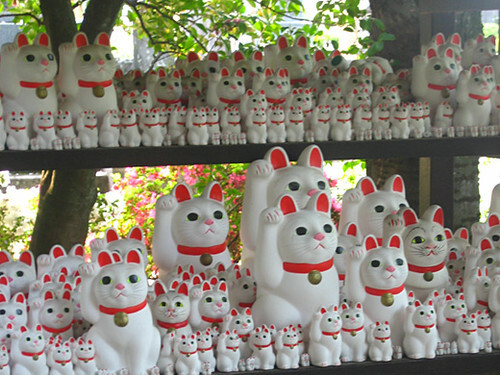 I love manekineko! 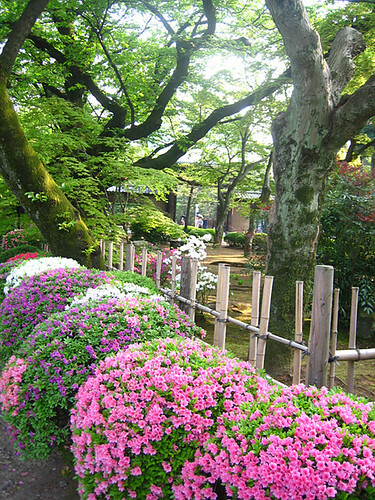 I’ll surely visit it next time I visit Tokyo. domo arigato for the information!